How much does the exam cover about DHCP? According to the ICND2 Official Study Guide and ICND1, these books did not cover anything about configuring DHCP pools, etc... I'm taking a few practice questions and curious as hell as to why this would be on the exam and not even briefly covered at all in the official books? I personally think if you can configure it via sdm you should be good. I could be wrong. I would make sure you can configure it via the CLI. Thanks. 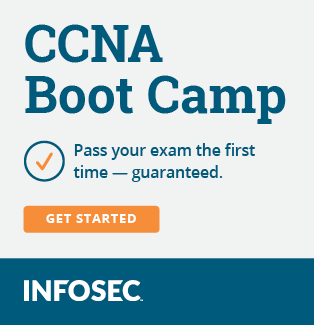 Do you remember seeing anything about it on the CCNA? Even though it may not be on the exam (which I think it is) you might want to learn how to configure DHCP since you might need it one day. SDM is extremely easy and if you hit the 'preview commands' before they're sent it'll give you a run down on the commands the SDM sends to the router. CLI is super easy, too. Wow, you're right @ MAC_Addy.. Didn't realize it was so damn simple. Thank you again. I'm freaking anxious to take this test now. No worries. I too thought the same thing before I had configured it. Just keep practicing via the command line and you'll never forget. I haven't taken my test yet, although I'm nearly ready for it. I need to get my subnetting down to an art.